Hallelujah, it's Friday!! Anyone with me?? 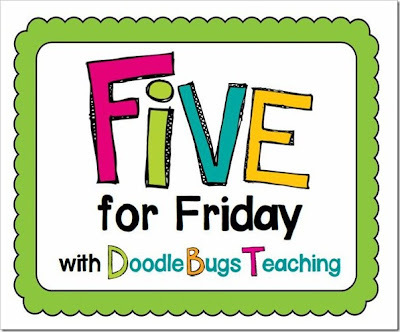 I am linking up as usual with Kacey over at Doodle Bugs Teaching for her weekly Five for Friday linky. Next one...Kite art from the fabulous Cara Carroll...this seemed like it would be so perfectly easy, but for some reason it was a living nightmare! Why is it that even though I spelled WOULD correctly on the SMARTBOARD, a ton of kids mispelled it in their cloud??!!! Look at the board, KIDLETS!!! I swear to you, I was ready to go straight GHETTO on those kids! Grrrr... Even though it was hellish, they still came out pretty darn cute! Georgia friends, can you GO to the beach in Georgia?? Do you notice the added pencil on this one?? Yeah, her pencil got glued to it. Whatevs...I told you it was a nightmare! 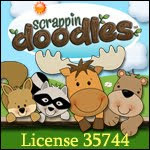 My kiddos are equally in love with it, and they positively go giddy when they get to stamp it on their paper! Number 4...endless lamination! I swear to you (again), I am FOREVER cutting out laminate! As soon as I am done, I make new centers and laminate all over again. I plan on cutting this ginormous stack out from my Spring Things centers this weekend, while watching re-runs of New Girl (I am OB.SESSED, peeps!) Schmidty rules!! Who's That Girl?? It's Jess! Finally...PARROTS! Our school is having an art fair and each grade level was asked to make a different type of bird. Kinder had penguins, Second made bald eagles, Third made puffins, Fourth-owls (yes, I am jealous! ), fifth, I can't remember, and 6th got peacocks. Well, First Grade got parrots, which is PERFECT, since I make these for my Open House Rainforest theme, and they came out super cute!! They are so bright and pretty!! These are in my Rainforest Art and Writing Unit, along with 9 other rainforest animal art projects. 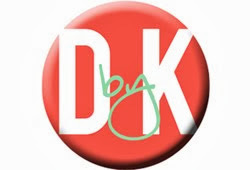 Well, I'm going to my daughter's Silent Auction tonight with one of my besties, while my hubs watches the kidlets. Dinner isn't until 6:30! Do they not realize that we eat dinner at 5?? I am going to fall over from hunger by then! SHEESH! I seriously laughed out loud over that pencil being glued to the kite! Happy Friday! Love your Five! I especially loved the "hellish kites." Maybe because I can really relate! My kiddos are having a difficult time with anything to do with writing and I am having regular incidences of "flog the teacher" and "feel sorry for myself" one right after the other. I think the answer about the mis-spelling and other difficulties is that it is March. Seems like all the kids are restless no matter where in the nation you live and that things they "should" know or "did" know they just don't right now. Happy Friday, thanks for sharing! LOVE, LOVE, LOVE Wicked. My BFF got me tickets for my birthday this past summer. It was AMAZING! And I am OBSESSED with that stamp. Way cute! Was Wicked not the best show you have ever seen? I think the kites turned out adorable even if they might have been a disaster to make! I love the stamp! I am thinking of getting a stamp myself so it is great to see one in action! The kite? The stamp? The birds? Love it all! Those kites are super cute even if it was miserable making them. I know my class would be gluing pencils down too at this point. I think they all have spring fever! I just love the parrots! 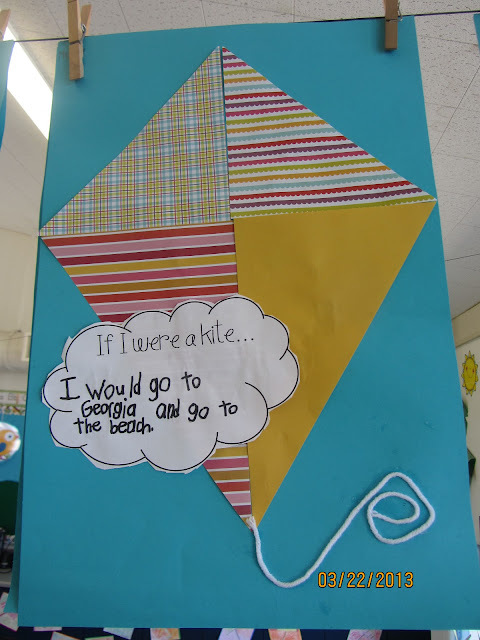 And the kites turned out great. Hope the auction went well. Oh My I can relate to project madness! I LOVE the one where the pencil got glued to it, I am still laughing at it ,too darn funny! The kites are still adorable! 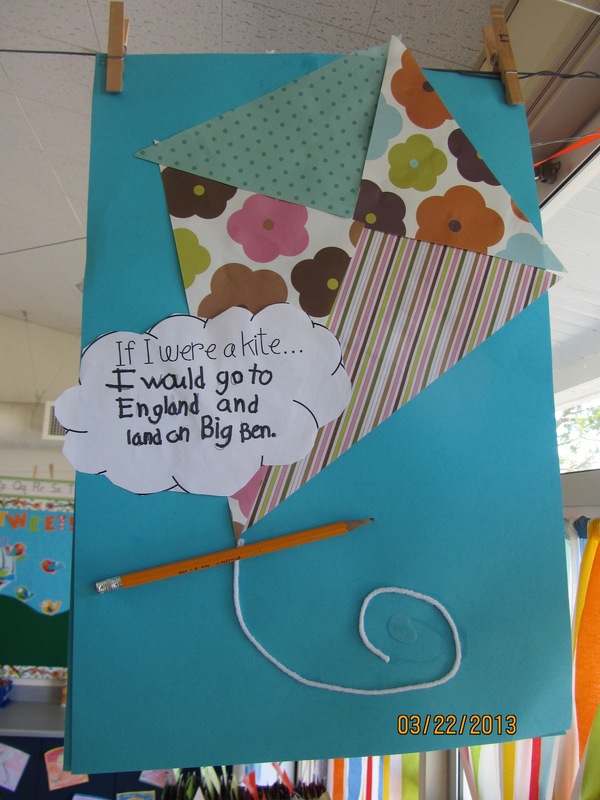 Your kiddo's kites are super cute! I love New Girl too...so quirky! Have a nice weekend. I love New Girl! So hilarious! And I am loving that stamp!!!! My Favorite Bulletin Board Linky Party!